31st Oct 2017 in Blog, Events. 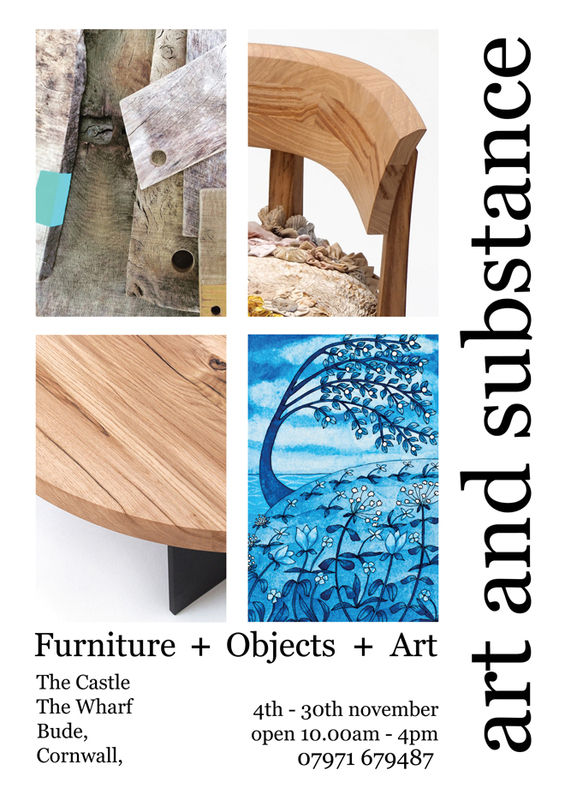 I will be exhibiting along with pachadesign, Paul Anderson and Rose Anderson at the Castle Museum in Bude. 30th Mar 2017 in Blog, Events. I have an exhibition on at the Devon Guild Of Craftsmen until May 15th. 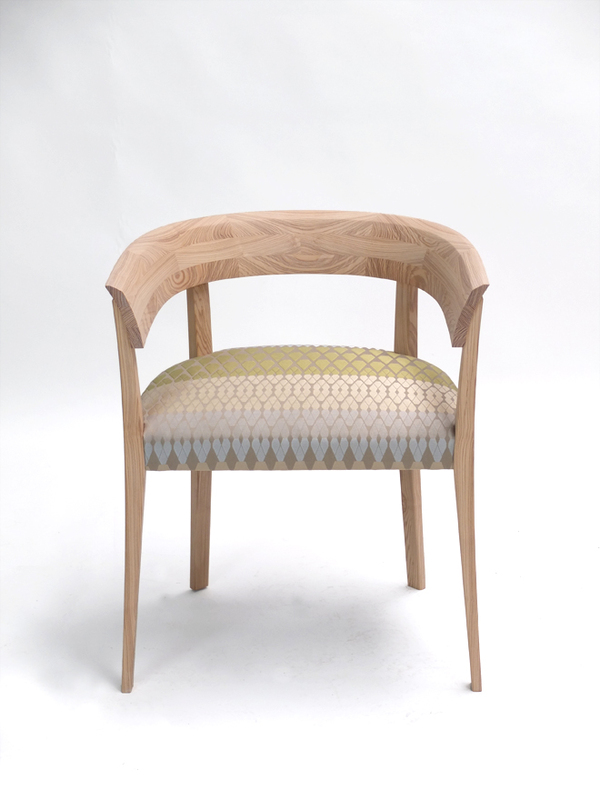 Here are some images of the two Alice Chairs I have in the show. 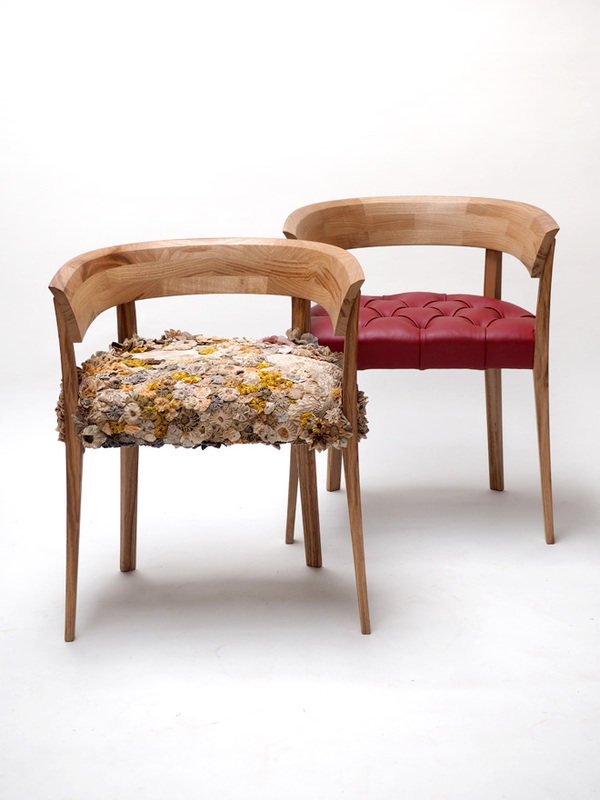 Both are made from English sweet Chestnut and have been traditionally upholstered. 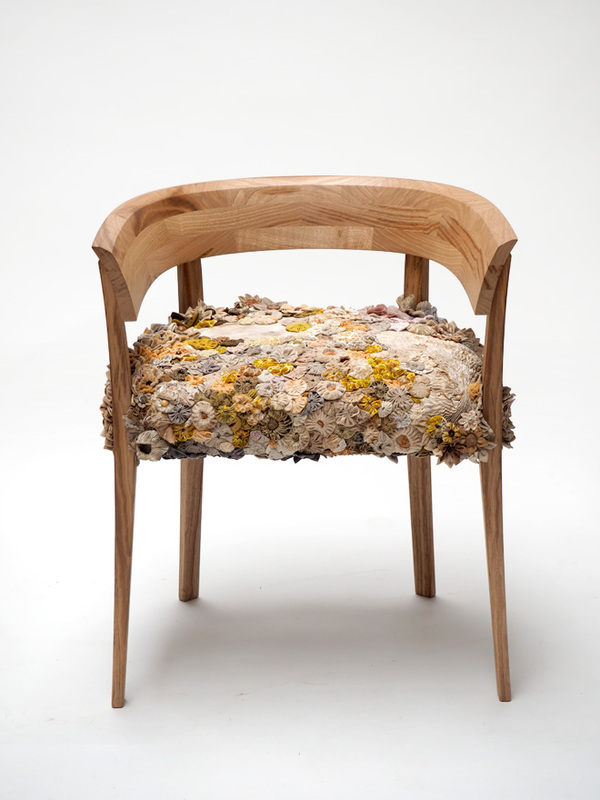 The first chair has been covered in hand made flowers and fabrics by the amazing shibori artist Michelle Griffiths. 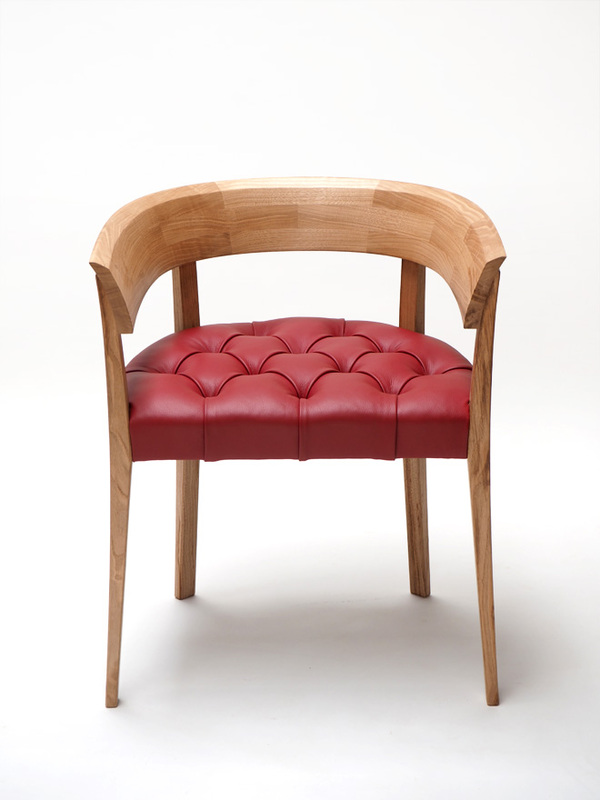 The second has been deep button pleated in red leather from Andrew Muirhead Leathers. 15th Mar 2016 in Blog, Events. 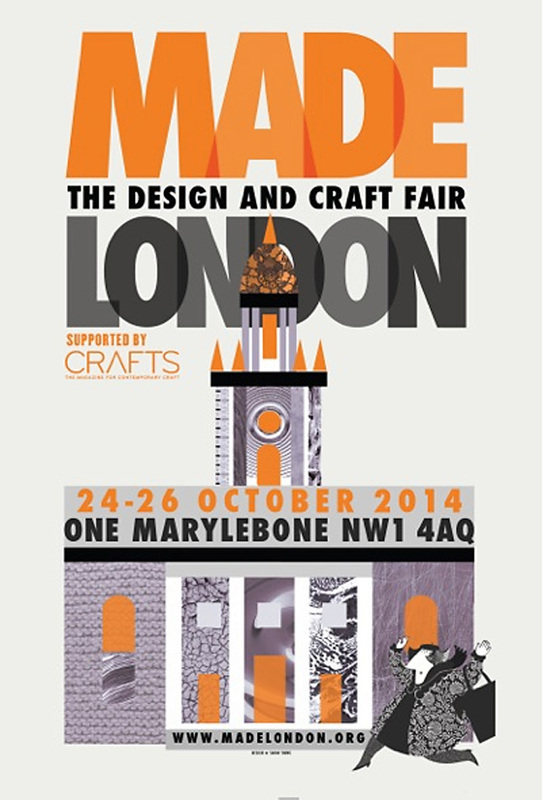 We are delighted to be involved as part of this years London Craft Week. We will be exhibiting in the CAA gallery as part of the week’s events. I will also be in town to meet and chat on the 7th May. There are more details here. The gallery address is 89 Southwark Street, London, SE1 0HX. 2nd Mar 2015 in Blog, Events. 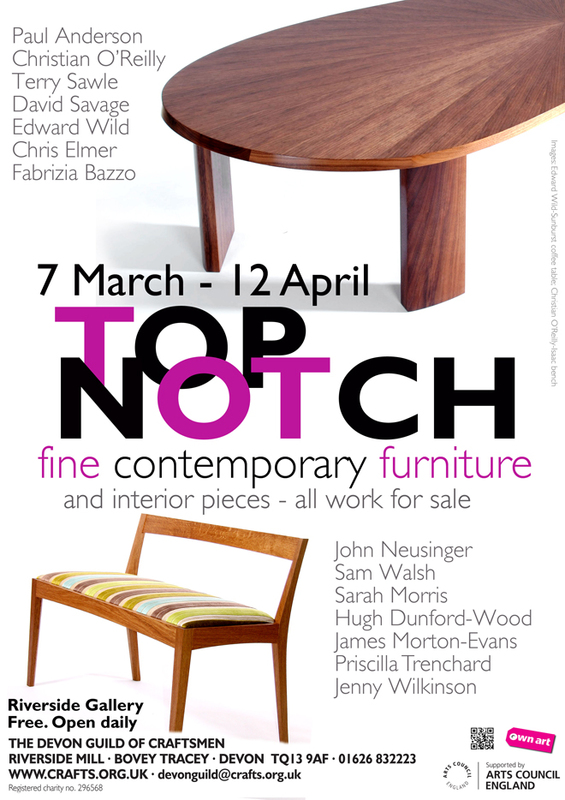 I have been selected to show in the ‘Top Notch’ exhibition at the Devon Guild of Craftsmen. The show runs from the 7th March – 12th April. 17th Oct 2014 in Blog, Events. The fantastic ‘Made London‘ is on next week. This is the third year of this show and if you haven’t been before it is well worth a visit. The exhibition is over the four floors of the John Soane church ‘One Marylebone’. Great atmosphere, great location and of course great exhibitors. I will be exhibiting on the mezzanine. I have a few 2 for 1 tickets left, if you would like one please drop me a line. 15th Jul 2014 in Blog, Events. 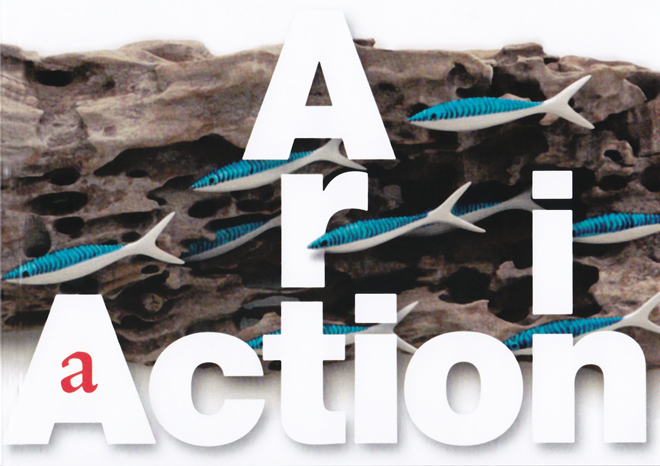 We will be exhibiting at Art in Action this week along with our good friends from Lara Aldridge Glass. You can find us in the ‘Market Place’ on stand G11. 23rd May 2014 in Blog, Events. 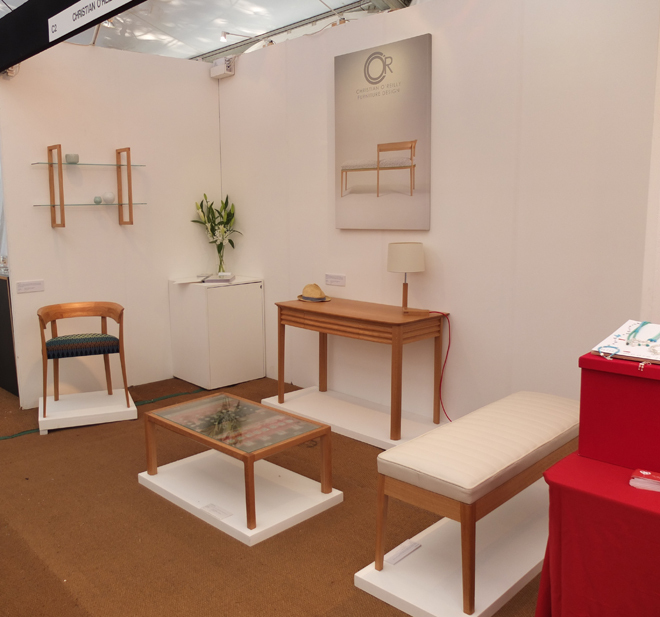 We will be exhibiting at this years Contemporary Craft Festival in Bovey Tracey. The festival has loads of things to see and do for all the family. Come and spend the day and buy or commission great products from the people who design and make them. We will be on stand C33A. We look forward to seeing you there. 29th Apr 2014 in Blog, Events. We are exhibiting in the Design Arcade at this year’s Grand Designs Live. We have a joint stand with Lara Aldridge Glass. The exhibition is at London’s ExCel and runs from the 3rd -11th of May. I will be on the stand this coming bank holiday weekend. Come along and visit me there. 16th Jan 2014 in Blog, Events. We will be exhibiting at Interiors 2014 as part of a new area of the show called ‘Designer Makers’. Come and visit us on stand BP39 in hall 1. 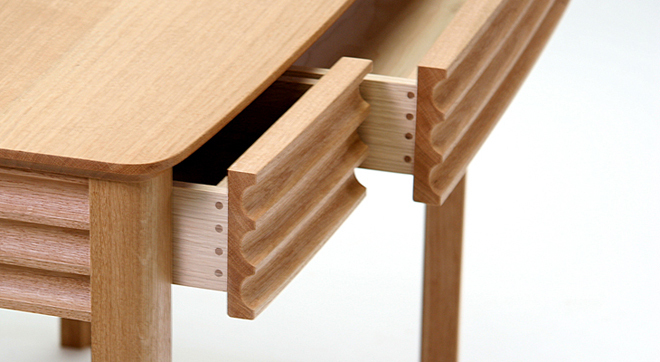 ‘ Designer Makers are a group of British craftsmen who design and make contemporary bespoke furniture to commission. 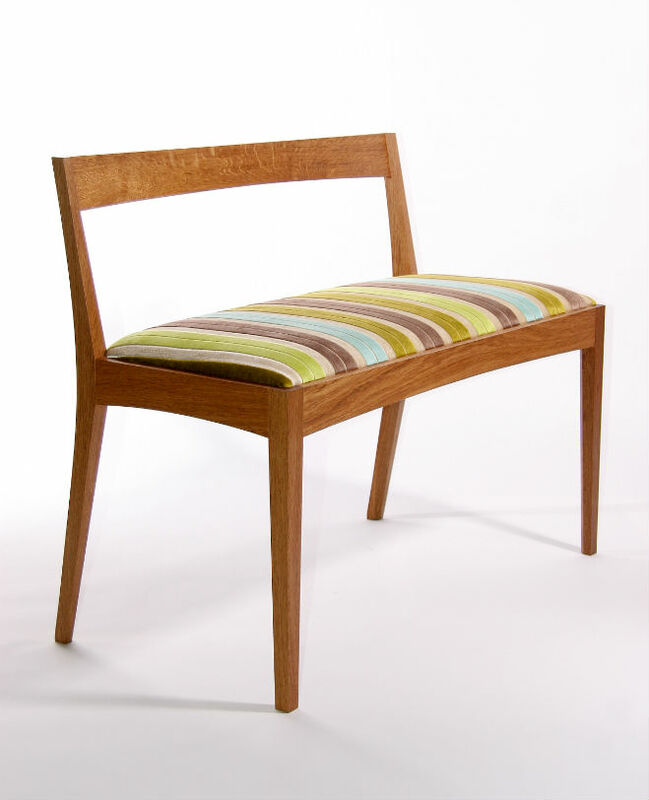 The membership consists of a large body of excellent designer-makers of furniture from all over the UK, including the top names in the field. 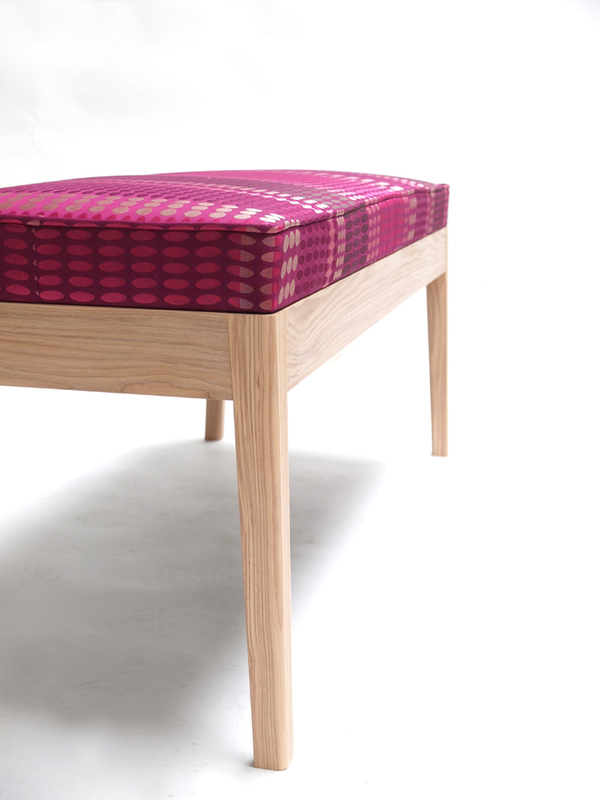 To some they’re regarded as a national treasure and it’s an absolute pleasure for us to welcome them to INTERIORS UK. 17th Oct 2013 in Blog, Events. 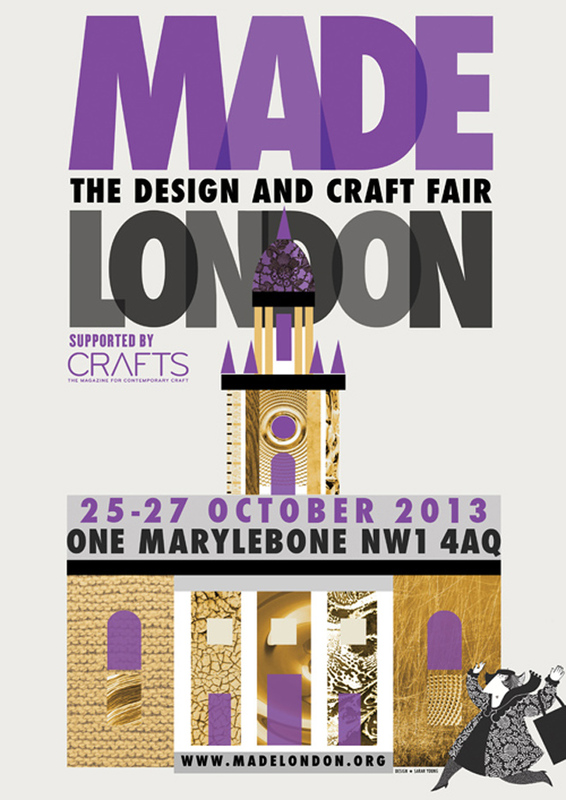 We will be exhibiting at Made London next week. Last year’s show was a great success so come along and visit. We are on the mezzanine, stand M6. 26th Aug 2013 in Blog, Events. 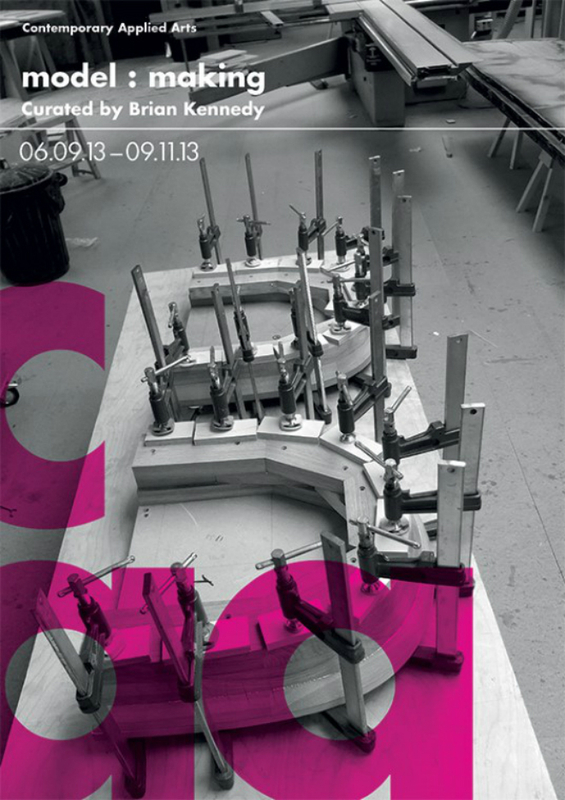 One of our Alice chairs is part of the new exhibition at the CAA. They have even used one of my images for the flyer. model : making is an exhibition which looks at the increasing use of new technologies by both craftsmen and architectural model makers. Devised to celebrate the London Design Festival, CAA will collaborate with architects Allies and Morrison to present ‘digital’ sketches, early prototypes and finished work, offering the viewer a unique insight into the early stages of the development of an idea. model : making will explore how the use of new technologies is influencing and changing the aesthetic demands of various creative disciplines. model : making will include work by CAA members Vicki Ambery-Smith, Neil Bottle, Kane Cali, Ptolemy Mann, Naomi Mcintosh, Christian O’Reilly and guests Kathryn Hinton and Rachel Hopkins as well as the Allies and Morrison model making workshop. 7th Jun 2013 in Blog, Events. Bovey Tracey Contemporary Craft Festival opens today. The show looks great and the weather forecast is not too bad either. Come and spend the day at the show, there is lots going on. 200 designer makers are exhibiting and there are talks, demonstrations and a childrens’ craft tent. We are on stand C2. 30th May 2013 in Blog, Events. We are exhibiting at this years Craft Festival. It is the tenth year of the show and promises to be as excellent as always. We are on stand C2 so come along and pay us a visit. 1st May 2013 in Blog, Events. We are exhibiting our work alongside Lara Aldridge Glass at Grand Designs Live. The show runs 4th -12th May 2013 at ExCeL, One Western Gateway, Royal Victoria Dock, London, E16 1XL. Come and find us in the Design Arcade on stand E105A. 16th Mar 2013 in Blog, Events. 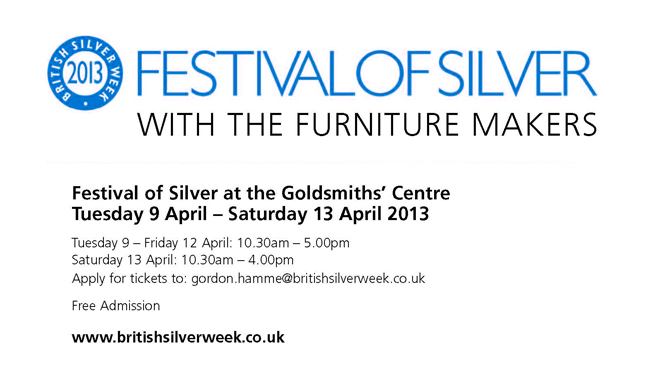 We have been invited to exhibit some of our pieces at British Silver week this spring. 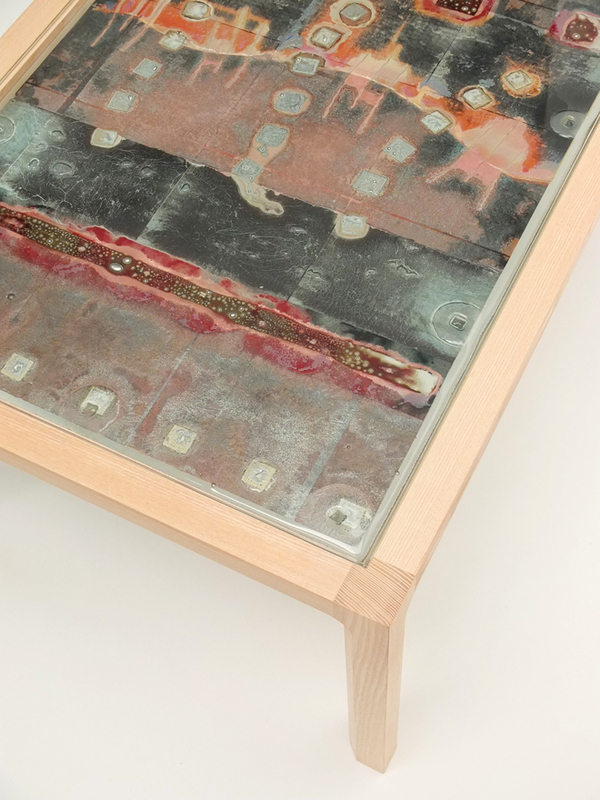 Our work will be on show alongside 50 silversmiths and 17 other furniture makers. 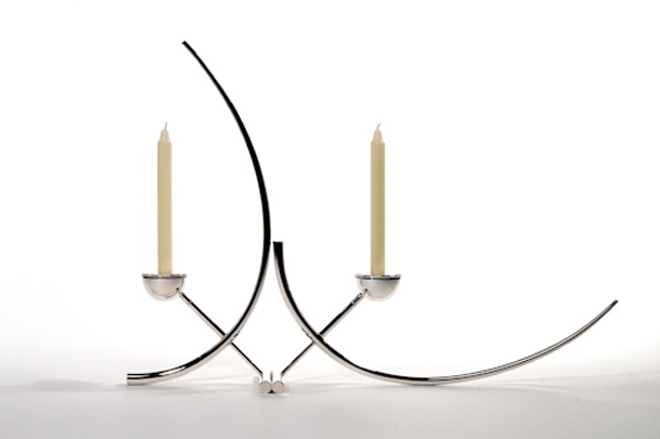 These gorgeous candlesticks are by Brett Payne who will be exhibiting at the show.